Bhaichung Bhutia, the chairman of North Bengal Board for Development of Sports and Games, today said he would speak to Sourav Ganguly, the president of the Cricket Association of Bengal, on holding IPL matches at the Kanchenjungha Stadium here. Bhutia, who inaugurated the sports board's office at the stadium today, also said he would try to bring Indian Super League football matches to the ground. "I will talk to Sourav Ganguly so that we can get IPL cricket matches at Kanchenjungha stadium. 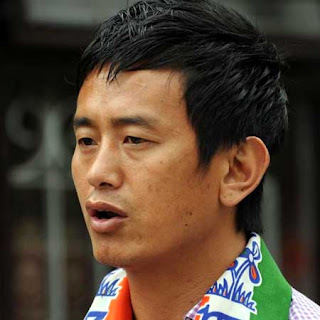 We have a good stadium that can host big cricket and football matches," said Bhutia. Sources said the former national soccer team captain had already spoken to the president of the CAB in this regard. "Ganguly has suggested that the existing infrastructure of the stadium be upgraded as the size of the ground is not big enough to host IPL matches," said a source.